When was Fortnite made? When did Fortnite come out? Wondering when Fortnite was made? We break down all the relevant release date information. Fortnite is such a popular name in the world of video games that it's already become hard to imagine a time when it didn't exist. However, it's not like Fortnite is ancient history. Players wondering when Fortnite was made won't have to look too far back to discover the origins of Epic Games' hit battle royale to find its original release dates and platforms. Fortnite first released in July of 2017. Forged by the legendary crew at Epic Games, it was first conceived during an internal game jam sometime around 2011. Its creative inspiration, according to a 2014 report from Game Informer, involved the creation of a game that blended elements of shooting games with those of construction-based games like Minecraft. Through the years, Fortnite would undergo several key developmental changes, and in July 2017, it was released as a paid early access title on PC, PlayStation 4, and Xbox One. Though paying players were given access to Founder's Packs, it wasn't too long before the game went fully free-to-play, complete with all the trappings of games-as-service titles, including the availability of paid skins and other cosmetic items. There's one noteworthy period of Fortnite's evolution that occurred around the time of its original release: PlayerUnknown's Battlegrounds had begun quickly picking up steam, and Epic Games saw the opportunity to put the popular "battle royale" gameplay mode into Fortnite. Soon, Epic would distinguish between the two gameplay modes by titling the default Fortnite gameplay mode as Save the World, whereas what most players now call Fortnite was then known (and still technically remains known) as Fortnite Battle Royale. Fortnite Battle Royale was released as a free-to-play title on September 26, 2017. Fortnite Save the World would become free to play later in 2018. 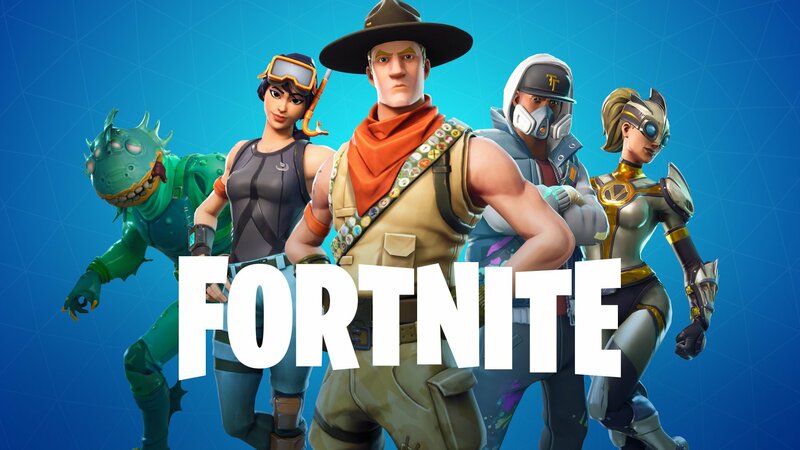 Fortnite for iOS first became available in March of 2018, and hit Android devices in beta form around August of 2018. Fortnite eventually landed on the Nintendo Switch on June 12, 2018. Cross-play came shortly thereafter for all systems except the PlayStation 4, which only received cross-platform compatibility in September of 2018. So when was Fortnite made? The question isn't exactly straightforward, as Epic Games had been working on it for around six years before it actually released. As for a short answer, Fortnite came out in September 2017, when it first became available for download on PC, PlayStation 4, and Xbox One.